Here at Goresbrook School we place importance of the emotional wellbeing of our whole school community. That is why we are happy to have Place2Be here in both the primary and secondary sides of Goresbrook School. Lynne Ali-Northcott is the Place2Be School Project Manager at Goresbrook School. Place2Be aims to promote children and young people’s mental health and learning by offering a range of services to support individuals and their families. 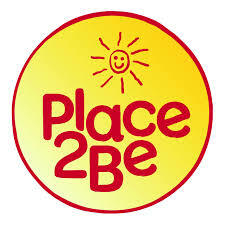 Place2Talk: A lunchtime drop-in service for all students from Y1 to Yr11. Children fill in a slip to alert the School Project Manager and post it in their special Place2Be post box. They can come either alone or with a friend or two. During the 15 minutes session they can have the opportunity to talk about how they are feeling with a trained counsellor or perhaps use the art materials or toys to role play instead. Children are referred for a number of reasons and with parental consent. They attend weekly play therapy sessions for up to a year. Moving Parents and Children Together is an 8 week program specifically for families affected by alcohol or substance misuse. The program is totally confidential and takes place at a separate venue. If you would like to find out more about any aspect of the service, or to discuss how it could benefit your child please contact Marianne De Giorgio on 0208 470 2339.